After a ending a season which began with promise but ended with disappointment, the DePaul Blue Demons find themselves back at square one. Not only did they finish last in the Big East for the seventh consecutive season (12-21, 3-15 Big East), they’ve also had difficulty breaking bad habits during that time span. Bad habits such as bad shot selection, turnovers, lack of awareness on defense and bouts with inconsistency have hurt this program year in and year out. The worst part about this season was that not only was the Big East weaker than in years past, DePaul also had more than enough talent to make some noise and get a potential postseason berth. Speaking of talent, that is an area where DePaul will have to slightly rebuild over the summer. A lot of noise was made about the mysterious departure of forward Cleveland Melvin before the season ended. 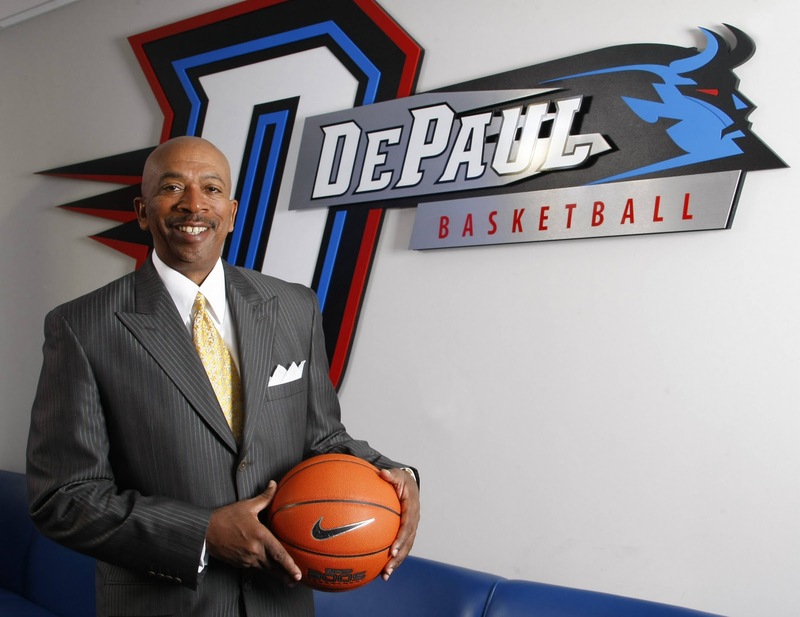 Regardless of the circumstances, DePaul needs to move on. Melvin has already done that as he is about to venture into the professional game. Melvin wasn’t able to complete his studies and graduate, but guards Brandon Young and Edwind McGhee along with forward Sandi Marcius will be getting their degrees in May. Young leaves the school as one of Demons’ all-time leading scorers. His leadership, skill set and toughness will be sorely missed. McGhee didn’t always get playing time, but as a senior he was one of the more vocal members of the team. As for Marcius, his size and presence in the paint will be difficult to replace. At the end of last season, five players left the DePaul program and transferred to other schools. And considering how this season has gone, it may happen again. But for now, it looks like everybody is coming back. Here are some players to look out for heading into next season…..
Guard Billy Garrett Jr. will be a more seasoned sophomore next season. He will also assume Brandon Young’s point guard position and could find himself as a team captain. He was named Big East Rookie of the Year for a reason, he has the talent to be an All-American in the future. Center Tommy Hamilton IV will also be sophomore next fall. His flashes of brilliance this season are something that he can build on for next season. Forward Jamee Crockett had a junior year that I’m sure he’d like to forget. Injuries along with a lengthy suspension limited him to 19 games. If he can stay healthy and out of trouble as a senior, there’s hope that he can return to his sharpshooting ways that helped him earn his spot on this team (he made 25 three-point shots as a sophomore and averaged almost 10 points per game). Expect to see more of forward DeJuan Marrero in 2015. When Cleveland Melvin was initially suspended, Marrero started the first four games without him. He’s a decent shooter, he has some length (6-6), and with more playing time in front of him he could finally reach his potential. One player that will definitely be worth watching is one that didn’t play this season. Swingman Myke Henry had to sit out this season because of NCAA transfer rules. He was unable to get a hardship wavier so he can play right away -he transferred from Illinois due to a lack of playing time- so he’ll be anxious to take the court next season. At 6-6, he can play both guard and forward and he has pretty nice jump shot. ← A step back for the Loyola Ramblers?